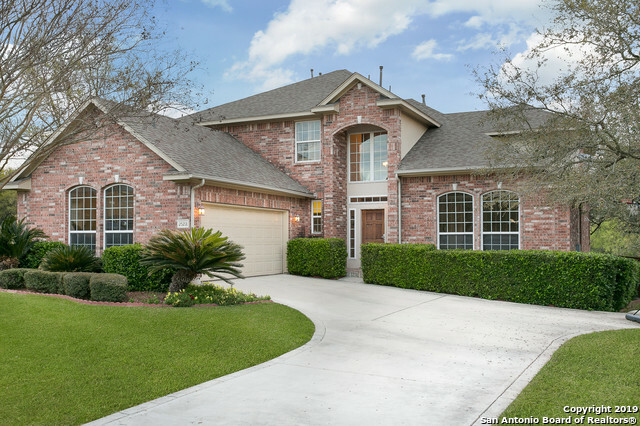 All LINKS AT CANYON SPRINGS homes currently listed for sale in San Antonio as of 04/22/2019 are shown below. You can change the search criteria at any time by pressing the 'Change Search' button below. 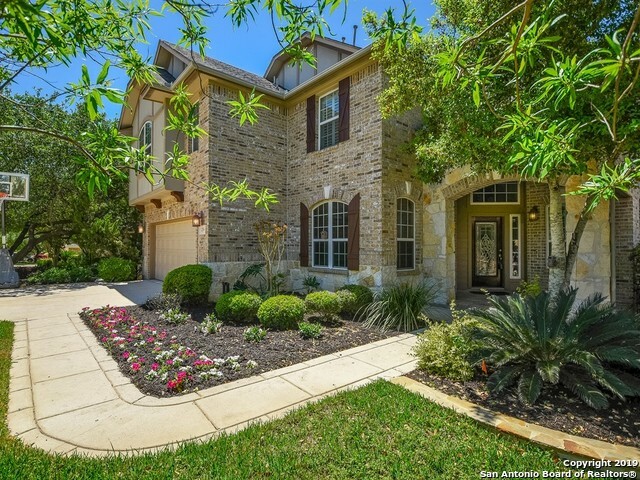 "GATED COMMUNITY SITUATED ALONG THE CANYON SPRING GOLF CLUB***THIS 5 BEDROOM/4 BATH HOME IS WELL MAINTAINED WITH A BEAUTIFUL VIEW OF THE GOLF COURSE***LARGE PATIO***LARGE MASTER SUITE DOWNSTAIRS ALONG WITH SECOND BEDROOM AND BATH***OPEN FLOOR PLAN***COME AND SEE THIS GORGEOUS HOME." "Gorgeous, spacious two-story in Links at Canyon Springs! Located in the highly sought after North East School District. This home was the former Model that offers a great open floor plan with a gourmet kitchen, first floor master suite with custom ceiling detailing, study with custom built-in cabinets, an upstairs gameroom/media room, recently replaced carpet, fresh paint throughout with an oversized garage with AC. Plus..an extended 3 level deck in backyard with a spa/jacuzzi, perfect for enter"
"GORGEOUS HOME ON OAK TREED LOT W/POOL/SPA-EXTENSIVE LNDSC, COV PATIO-OUTDOOR KITCHEN-APPROX $60,000 IN UPGRADES -GRAND ENTRY W/WINDING STAIRCASE TO 4 BRS/3 BATHS, GM RM UP-VERY OPEN PLAN W/HIGH CEIL-3 LIV AREAS-SEP FML LIV/STUDY/SEP FML DINING-GORMET ISLAND KIT W/SS APPLI-GAS COOKTOP- BOSCH DW-SOLIAD SURFACE COUNTERS-PULL OUT SHELVES-OPEN TO FAMILY RM W/ HIGH 2 STORY CEIL-GREAT MST SUITE W/ OUTSIDE ACCESS-SPACIOUS MST BATH W/SEP SHOWER-SEP GARDEN TUB-CUSTOM MST CLOSET-PLANTATION SHUTTERS IN LIV,"
"Oh my goodness. 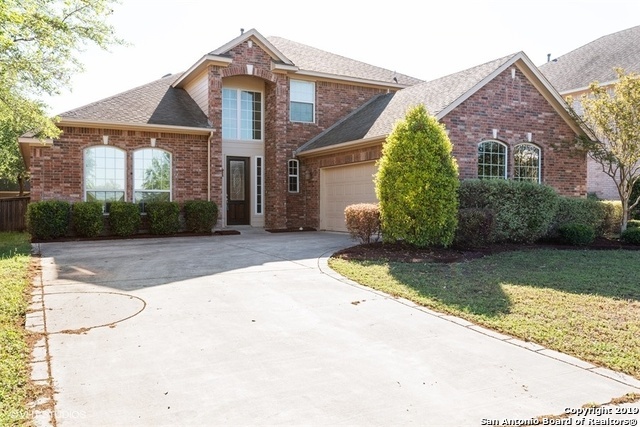 This recently updated home is located in your own gated community. You will walk in to your entry of this home and find a large dining area to your left and upfront a spacious living area with fireplace and an open kitchen. Most of the downstairs living areas have very nice wood like flooring that was recently installed. The master is downstairs as well with a large master bath. You also have a second bedroom on the main floor for guests or office. Large game room upstairs a"
"Whaaaat !? A super fancy kitchen the size of TX w/ tons of counter & cabinet space ! Now how cool is that ? Or how about a HUGE & very private back yard w/ cov. Patio for those hot summer days. Want more ?! Let's take this 4 bdrm beauty & put it in a cul-de-sac on a TOP RATED golf course in a gated community & give it a modern & open concept + a master bedr & bathrm that feels like a vacation suite. Let's top it off w/ a flex rm down and a XXL game rm upstairs. VIOLA !! HERE IS YOUR MASTERPIECE"